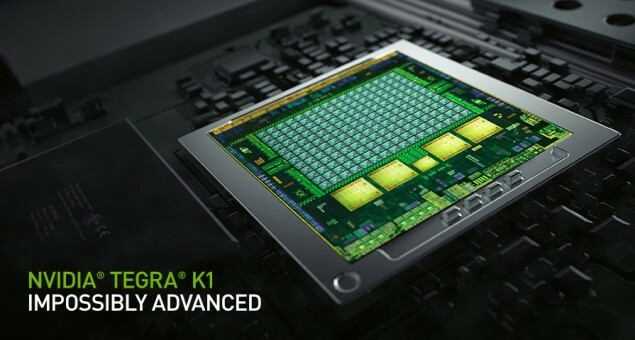 On GDC it was mentioned that the Tegra K1 SoC ‘could’ support DirectX 12 API. Well we have just received confirmation that Nvidia’s Mobile SoC will indeed support DirectX 12 API. Also some sites were claiming that Denver has been erased or canceled etc, so take it from us, the Tegra K1 64 Bit (with Denver) is still on track. Previously the Nvidia Tegra K1 SoC has full support for DirectX 11, OpenGL 4.4 and ES 3.0. So while DirectX 12 API is supported DirectX 12 is in all probability not there. This has caused some confusion in the past too, for example current generation GPUs will support DX 12 API but not the full blown DX 12. That will only come in future architectures and even 20nm Maxwell in all probability. However you will not get full DX 12 feature set on your current GPUs, don’t be fooled by the current AMD, Nvidia GPUs support DX12 API tag , that ‘api’ keyword makes all the difference. Of course since we are taking about CPU overhead you will get the most critical thing in the API, with only the next gen GFX and hardware features (if any) missing. Anyways, the Tegra K1 SoC I can now confirm, fully supports the DirectX 12 API and regardless of what you hear on the Interwebs, Denver is still coming in the Tegra K1 64 bit (aptly named) SoC. However even though there is a chance that Tegra K1 gets eventual hardware level support for DX 12, there are arguments against it too. The argument for is of course it is Nvidia’s flagship mobile processor so empowering it is critical. The argument against is that it is almost finishing its run on the assembly line, adding a brand new feature now could be very difficult, unless of course, it was going to be there to begin with.